As the Angels and Ascended Masters assist us with Angelic Auric Clearing powerful changes and shifts occur within and around the human, animal, plant or planet. As we set our intention and call in for energetic activations amazing shifts occur. This is like a universal catapult launching and shifting your consciousness into higher states of awareness and therefore heightened states of being. We assist with many soul activations that must happen over a course of time as the human or living being adapts to the higher frequencies of energy channeling in. You can think of this like Soul Training, sort of like when you purchase sessions with a personal trainer to get your body into shape. You wouldn’t expect to change your body in one session now would you? You understand that it takes a little time for you to adapt and allow for powerful shifts to occur as you shift your behaviors, your patterns and your expectations. So typically you would purchase a few months worth of Personal training and you’d show up to each session ready to learn, shift and release that which is no longer serving your goals dreams and desires you’d show up ready to do your own work. Those of you who hold your focus experience quantum shifts, what you like to refer to as miracles. Here is the issue with humanity, most of you do not hold your focus long enough to experience the shift and so you doubt the power of your own intentions and you tell yourself you are lost again, and again. This is causing you unnecessary suffering, yet it is the process you have called forth to learn from the contrast. Therefore even this sense of “lostness” is ultimately assisting your higher mission for understanding. Does this make sense to you? Awakened beings such as myself are here on the planet at this pivotal time to assist those who are courageous enough to have their illusions shattered, those who see that the ways they have been going about things are not efficient or enjoyable, and those that are ready to take quantum leaps forward in consciousness as they fulfill their own souls highest mission. Our angelic family is here supporting each of us, some of us are aware of this and can recall amazing miracles that have occurred throughout our lifetime. And some of you may just be opening up to this possibility and asking for signs and confirmation. Do not fear your confirmation will be given in ways each of you can easily understand, trust that your angels are very near. As I assist the Angelic Realms as well as many Ascended Masters and Galactic beings of heightened awareness and intelligence, I listen and follow the intuitive guidance I am given in the Eternal Now. Each session I assist with will be completely personal and focused upon the living being opening up for this assistance. The first step the Angles begin with is the Auric Clearing for the human or living being. Think of this in how you construct buildings upon your planet, you realize that you see a more efficient way so you must take down the structure already in place to clear the way for the new structure to be built. This is also what must be done within each of your minds, bodies, emotional fields, and Auric fields. As the clearing takes place there is an immediate sense of relief and inner calm or peace, as well as a heightened sense of higher consciousness streaming in. Our Angelic presence is immediately felt by most of you, some of you that have been cut off from the universal flow for a great time will need to be patient as the walls you have clung to begin to fall. Release your fears they are illusions you have believed in, allow them to fall away to clear the foundation you will now powerfully rebuild upon. Once the clearing process has been activated you will feel the inner guidance to go with life’s flow and release the need to control things. You will learn to live in trust and in the light of Love. 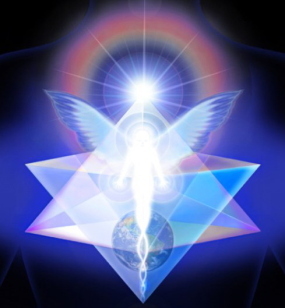 When your soul is ready to expand we will assist you with The Unity Consciousness Activation, The Universal Sphere, or the Code of Awakening Activation as some of you refer to it. This activation will activate all chambers of your brain and allow the hard walls you’ve created around your so called reality to soften into a penetrable membrane. After this activation is completed you will allow information, energy and healing light to pass easily in and out of your auric field. You will begin to SEE from the eyes of greater awareness and Oneness with All life. You will begin to recall and remember what your soul mission is for this incarnation and you will align with the power and confidence that you are One with Source and therefore All is possible for you. You will have to die to your ego’s, as clinging to the ego will hold you behind the brick walls that your ego’s have created and you will continue to suffer there. With each session you work through with me as your healing mentor you will feel more of your old identity falling away, and more evolution occurring as you embody you’re newly aligned awakened self. Gentleness and much self love is necessary as you evolve so working with a healing assistant you trust is very important for you. You will sense more what you like to refer to as magic, or miracles and greater synchronistic flow. Life will become more beautiful, more harmonious and peaceful as you easily attract all you need to you. This will occur as you release all ego and allow for universal flow, this is the evolution all of you are calling out for. It is important that you trust and believe in infinite possibilities, as they are possible for you here.